Water is a precious resource, that is why Absolute Water Solutions is constantly looking for innovative ways to conserve it. Water Efficient Technology, W.E.T.™ is a series of features that allow a water softener to use only the amount of water and salt needed, effectively reducing waste and saving money! Modern water softeners have become more efficient over time but many still use more resources than are necessary. 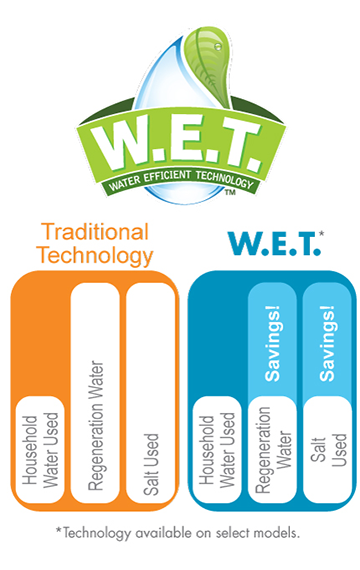 W.E.T.™ is capable of saving up to 50% of the salt and water used by today's high-efficiency systems. 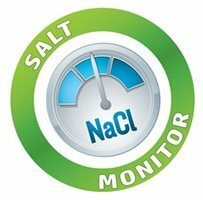 Are you interested in maximizing your salt and water savings? Our exclusive Water Efficiency Technology™ is available with our CareSoft Elite and CareSoft Pro water softeners. Other W.E.T.™ features include a real-time salt monitoring system, sending alerts when the salt levels are too low. 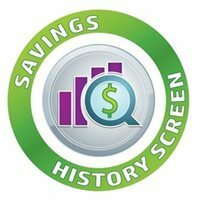 W.E.T.™ will also keep track of how much you have saved with a Savings History Screen. 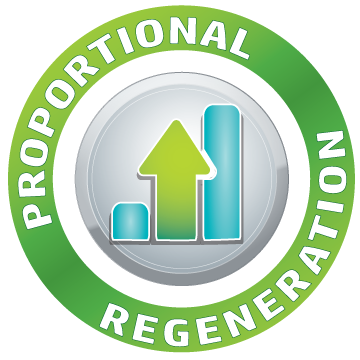 Reduces salt used during regeneration to be proportional to the amount of water treated for your household. Less water processed means less salt is needed. Reduces water used by your water softener during the rinse cycles. 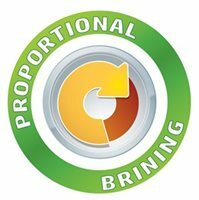 Much like Proportional Brining, these are adjusted to match how much resin has been exhausted inside your softener. Performs a full regeneration occasionally to maintain performance. Reducing the salt and water used could cause system fatigue over time, so W.E.T.™ assigns a full cycle to refresh the complete tank. Measures salt levels in real time. When levels become too low, the system triggers an audio and visual alert to remind you that salt is needed. Never forget to refill your brine tank again! See how much you saved compared to a traditional high-efficiency system right on your softener. You can see how many pounds of salt and how many gallons of water you've saved since your W.E.T.™ features were activated.